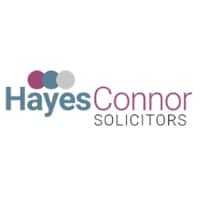 Hayes Connor Solicitors is a niche firm operating in the data breach and protection sector. We help our clients to claim the compensation they deserve following data protection breaches and other cyber offences such as computer fraud, identity theft, defamation, hacking, phishing scams, and more. A relatively new and evolving area of law, our specialist data breach and cybercrime solicitors lead our field when it comes to understanding the complexities involved. So much so that we now have in excess of 2,500 claims, including high value group action cases as well as other significant individual client cases. An innovative practice, we have invested heavily in client education to demonstrate our expertise in this area. We make sure our clients have as much information as possible before making a claim so that they feel fully informed at all times. We also provide a wide range of information to help our clients protect themselves once a breach has occurred. As consumers, we all want a fast, efficient, no-nonsense service – and that’s precisely how we deliver legal services to our clients. Getting people through to the right solicitor quickly. We only ever deal with organic enquiries. We never buy data, cold call, or send spam texts or emails. Even our PPC campaigns are monitored to reduce the spam effect. We never pressure anyone into making a claim and treat client data with the utmost care and privacy. We feel this is essential when it comes to protecting our clients, and upholding the standards of the legal profession. Once we have a claimant’s details, we treat these with the utmost care, compassion, and privacy. We never pass on these details to third parties for marketing purposes – or indeed for any other reason without express permission. This commitment to ensuring our customers’ peace of mind is absolute. We also work with Victim Support to help those affected by cybercrime and data breaches. The partnership sees us provide the charity with regular expertise and advice on its legal content. Together we also create content and raise awareness of the growing threat of cybercrime and data breaches. We believe that this helps us to exceed the expectations of client care and professionalism, as ultimately, the more people are aware of the risk, the better protected everyone will be.